They said the bat is doing well, but it looked dead to us. They said it was still groggy from its treatment. 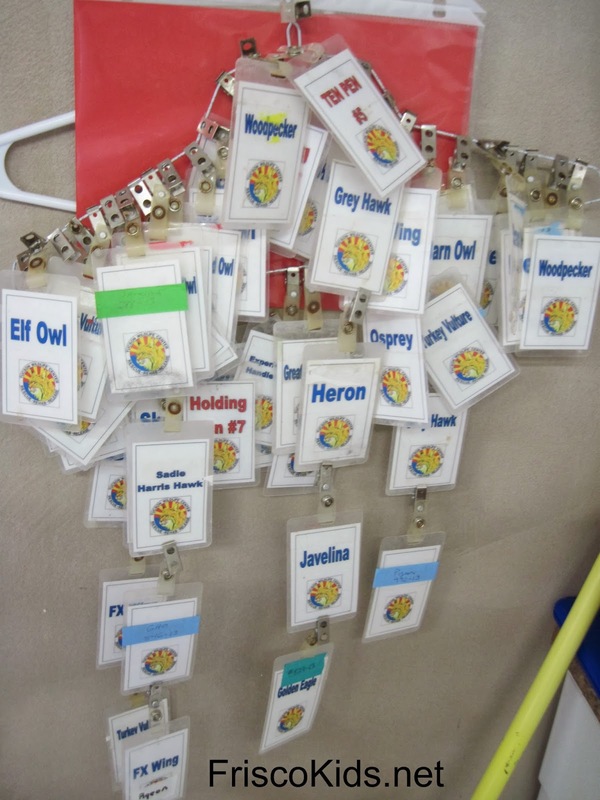 We weren't able to go into the next room, which housed newly treated creatures, but we did see the tags they put on the cages to mark what kind of animal it is. 40% of the animals that come there were hit by a car, and around 40% more were hit by something else, like a bullet. 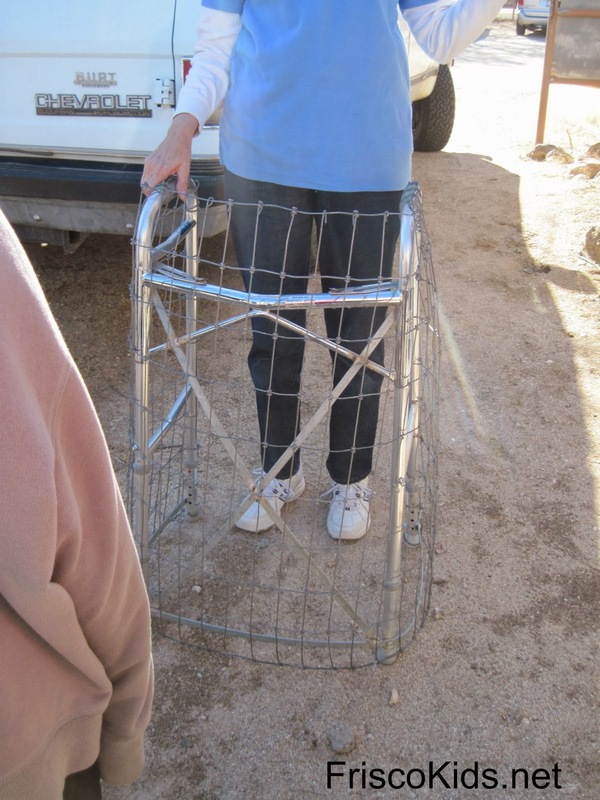 Outside, our guide showed us the "pig walker" that they use when around the javalinas. This way the person doesn't get knocked around by the javalina. The center was started in 1998 by a woman who used to live on the property (it's pretty far out, even further than Tanque Verde (read my dude ranch review here). They have a pack of javalinas that they release into the desert together, so they'll remain together. 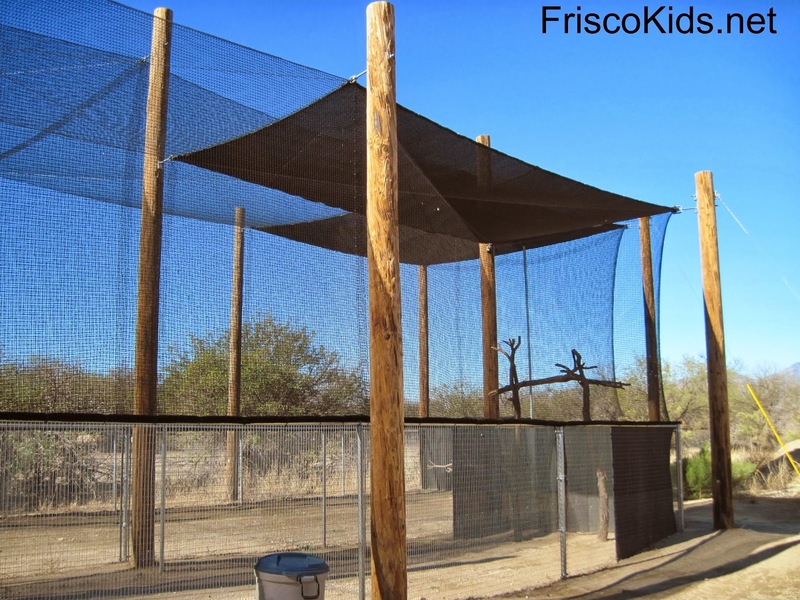 They house some animals that can no longer be released into the wild, for various reasons. Maybe they're too used to humans. Maybe they have a physical injury that would make them prone to getting picked off quickly by predators. Some of the animals they keep foster parent the younger ones brought in for rehabilitation. We did see some coyotes that act as parents (though we couldn't get close to their cages). 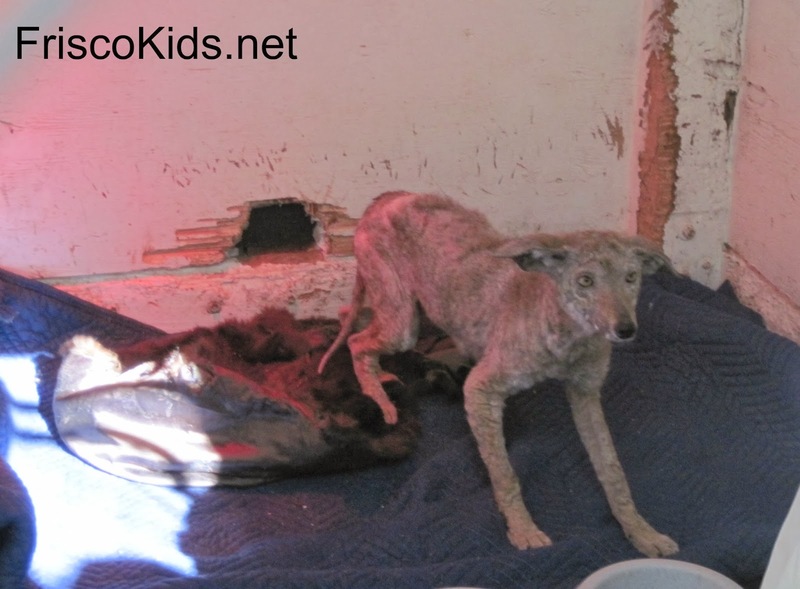 This coyote below was shaved in order to treat his mange and other problems. He was very skittish and did not like me taking his picture. We toured the building where they prepare the food. 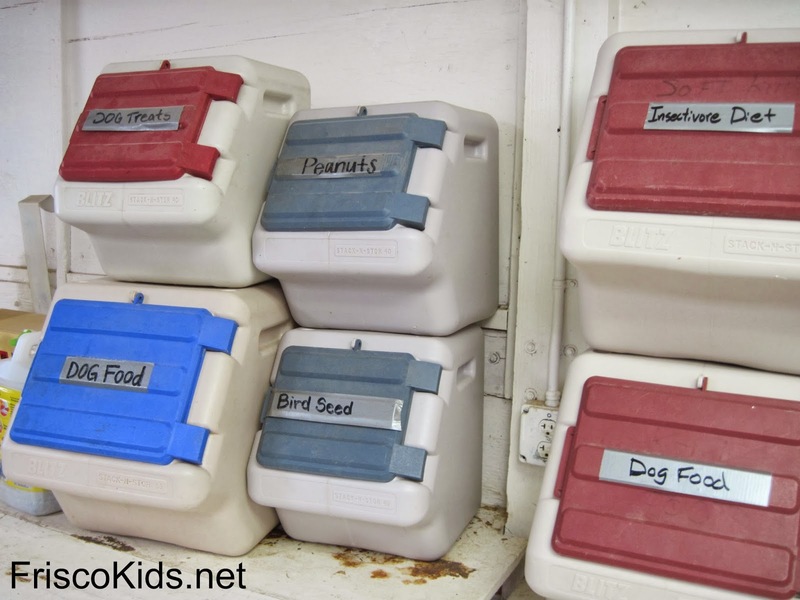 They had a lot of fresh food available for the animals who eat it, as well as these containers of dry food. 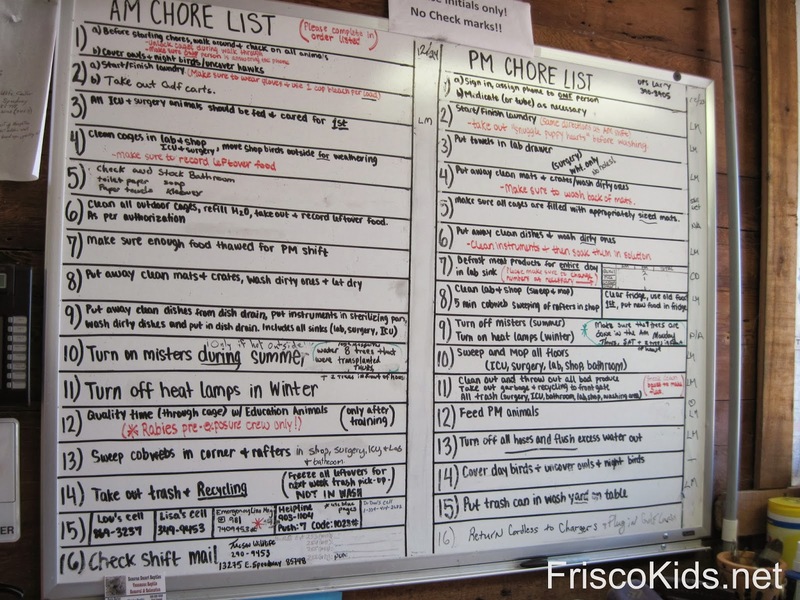 They had a lot of chore lists (see below) and a separate white board for what each animal should be fed daily, including live mice. They do teach hunter animals to hunt, so they can survive in the wild. We were surprised to see these pretty fur cats sitting in the room. 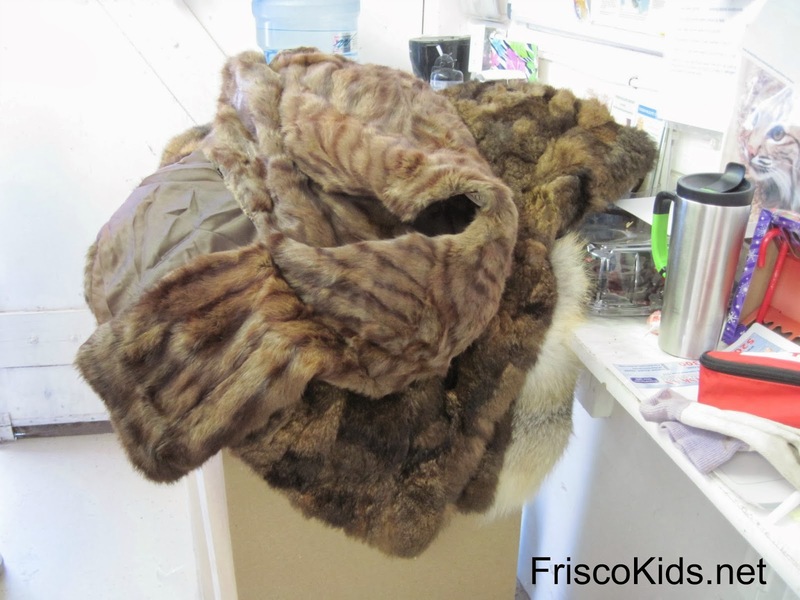 Turns out you can donate your unwanted fur, and some of the animals like to sleep on it and play with it, like the bobcat and coyotes. If you have a fur to donate, just box it up and ship it to them. Some animals that were rescued, come back to hang out and eat. 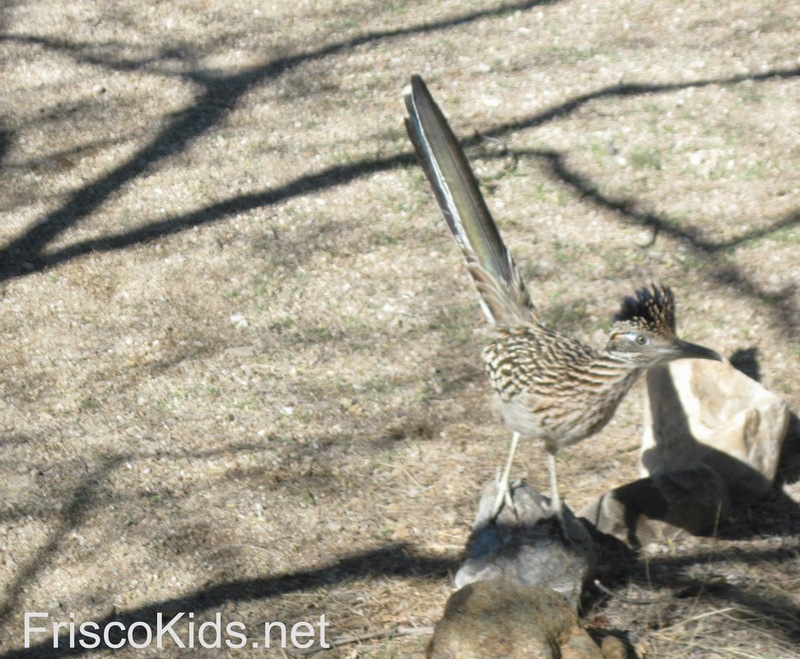 Not sure if this roadrunner is one of them, but he was hanging around looking for food. This bobcat, Wilbur, is the face of the Tucson Wildlife Center. His family was killed by bulldozers, and he has a head injury that keeps him at the center. He takes anti-seizure medicine and has a nice cage where he hangs out. He's 8 years old. Bobcats can imprint on humans in a very short time period early in their life, and if they imprint, they can't be released in the wild. 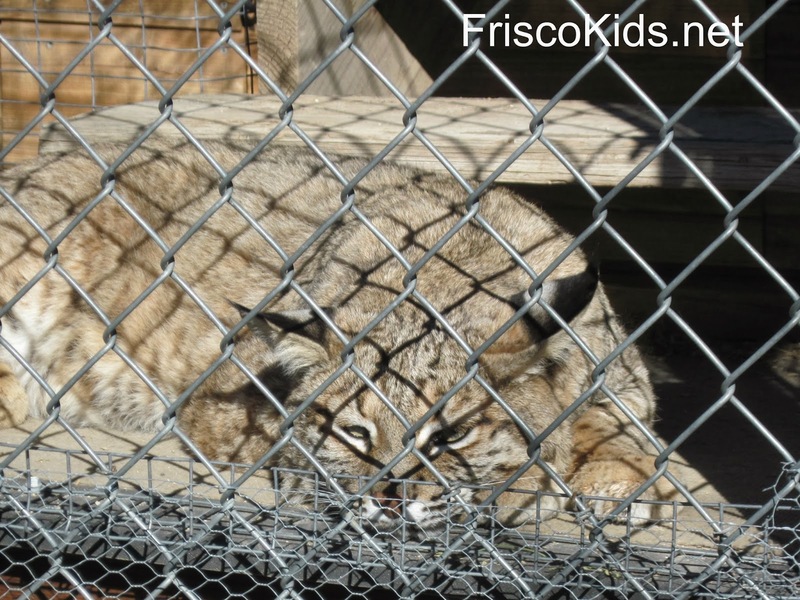 So don't keep a baby bobcat as a pet! 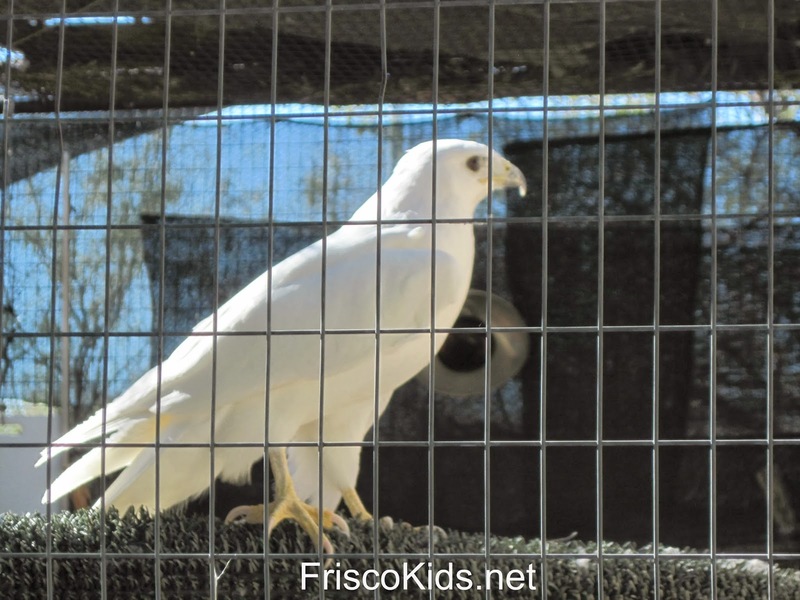 We went into an aviary with a long span to allow injured birds to practice flying. Last year, they had 35 baby Cooper hawks there, but they've been released. We also didn't see the eight baby barn owls the center housed, which is a huge bummer because I've seen baby barn owls before and they are the cutest things EVER. Barn owls have heart shaped white faces. I didn't get a good photo of the Cooper hawk in there, so you'll just have to imagine. We did get see some of the other birds that are kept at at the center and can't be released. These are animals the center brings out for educational presentations. 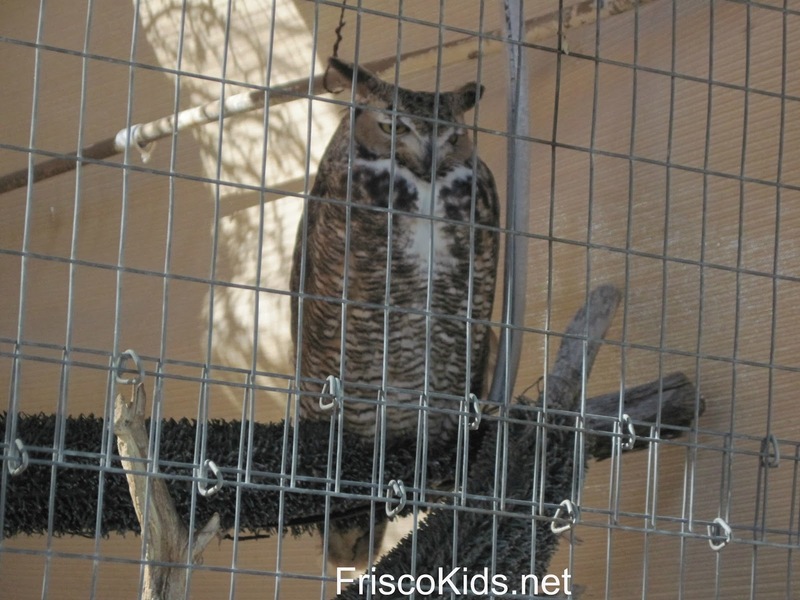 This is a Great Horned Owl (above) and it's either Bubba or Otto (there's another in the back of the cage). Yes, cue Harry Potter music. Those tufts of fur/feathers rising up look like ears, but they're not - they're just feathers. These owls have injuries that don't allow them to fly silently, so they would never survive in the wild. Their food would hear them coming. The bird above is Lightening, a partially albino red tailed hawk. It's eyes aren't pink, so it's not completely albino. As you might imagine, Lightening would have a hard time with camoflauge in the Arizona desert. Its wings would also crumble in the sun, because its bones are more brittle. It has a recessive gene, one out of a million are like this. This is Kiki, an American Kestral. It imprinted on humans at a young age, now can't live in the wild. 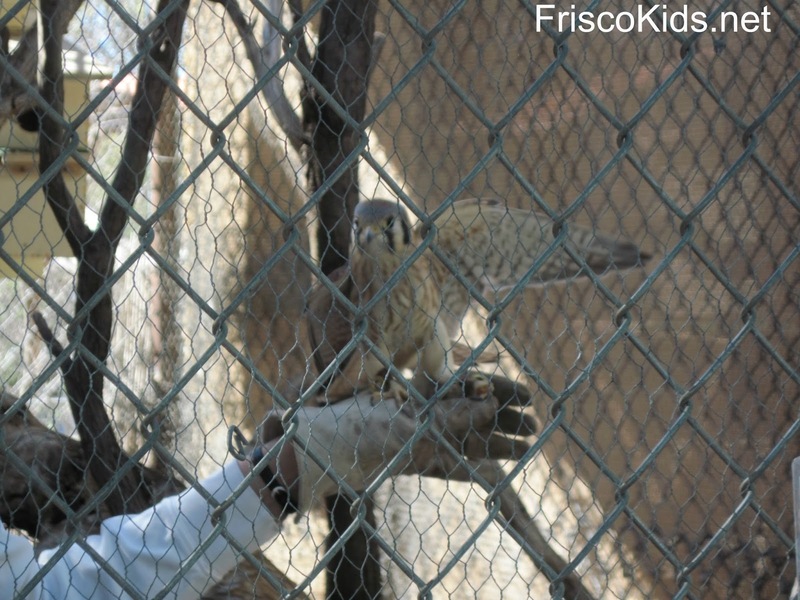 Normally Kestrals (the smallest falcons) wouldn't be this friendly with humans. We saw a new enclosure built for pelicans and I think eagles. 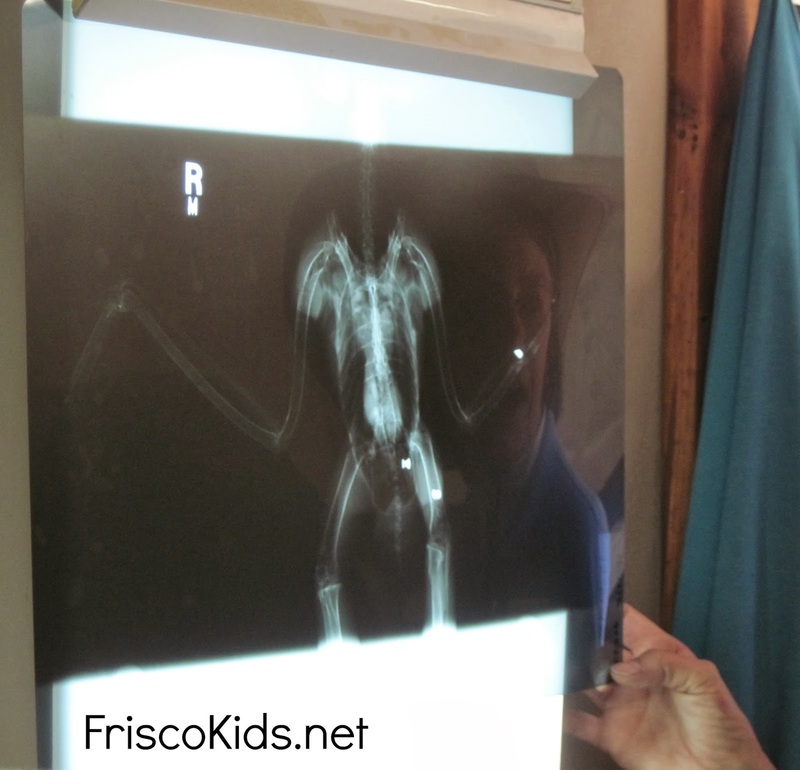 The wildlife center gets a handful or two of baby pelicans each year, blown off course from Mexico. They rehab them (there's a water feature not pictured) and then drive them to Sea World in San Diego where they stay until they're ready to go back to the wild. 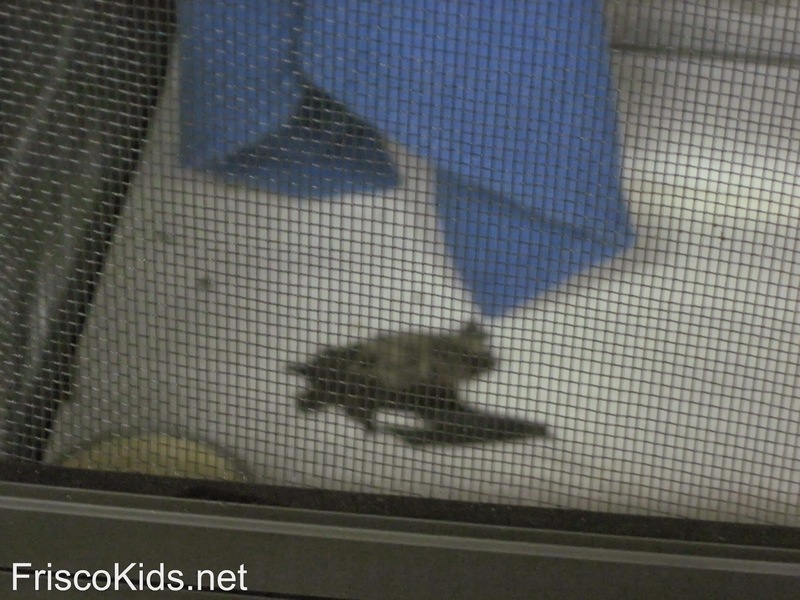 You can see some videos made by/for the Tucson Wildlife Center here or here. Cute animal alert! If you're interested in visiting the Tucson Wildlife Center, they conduct tours though I couldn't see any on the website. We had a private tour my mother-in-law arranged. 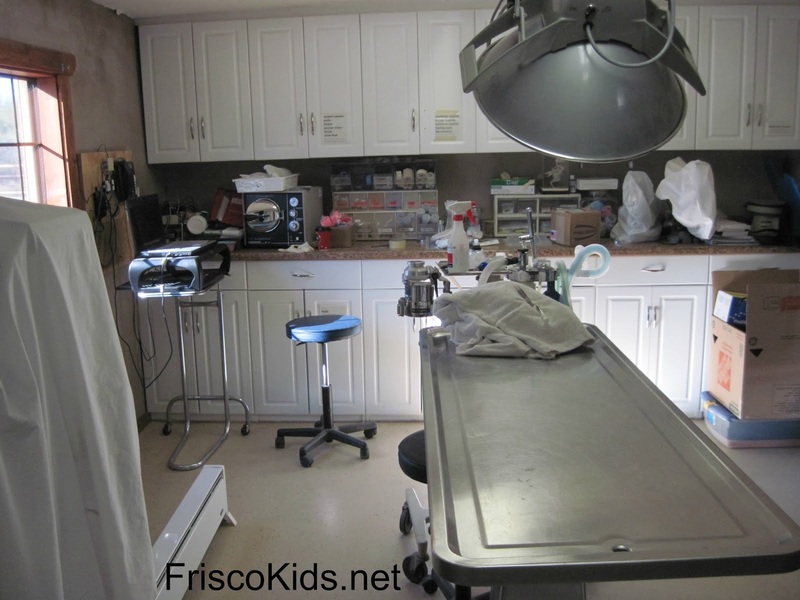 They do educational programs around the community as well. It's mostly volunteer run, with maybe three staff members.